Feeling tired, stiff, tensed, bloated or stressed? Practicing hot yoga in a controlled heated environment stimulates your nerves and muscles and cleanse your system in many ways. Your sense of well-being will be enhanced. 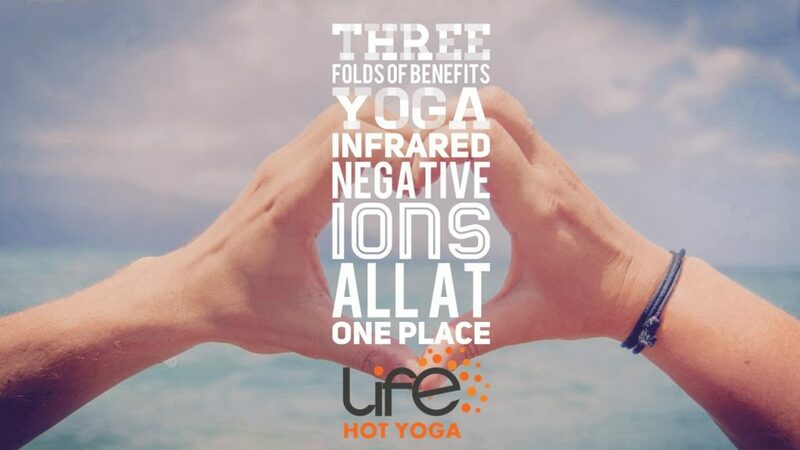 Your body will detoxify, heal and strengthen and start responding well to the heat treatment thereby providing a feeling of bliss. Eases anxiety and tension through improved breathing. 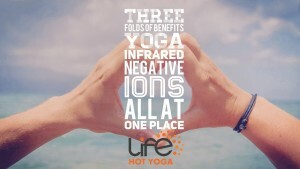 LIFE Hot Yoga gives you the best infrastructure possible. Our heating system does not use conventional heaters, hot furnace or hot air blowing from air conditioners. So you need not worry about skin damage or drying of skin. Stale air is also not circulated in the FIR heating and you will not end up breathing in microorganisms. Our Far-infrared heating system is based on heating technology that induces heat internally via our own body core temperature by using the far end of the ultraviolet spectrum which is therapeutically safe to human body, does not dry the skin, and eliminates odor and bacteria hence provide clean heated air. Infrared heat does not pressurize the room which means breathing is easier. The air you take in is not hot but soothing with the right amount of moisture. Offers the sun’s energy inside your body without the harmful UVA/UVB! Get into the heat and feel the transformation today!